Paper Towns is about a boy named Quentin as he embarks on a journey to find his elusive childhood crush, Margo, using cryptic clues she has left behind. Paper Towns, in comparison to John Green's other novels is quite noticeably sub-par. And I am usually a fan of John Green's stories. This novel, however, was not as compelling as the others; nothing about it made me want to keep reading. I wouldn't recommend this book. The story is cliche and the characters are not memorable; just a caricature of preexisting archetypes. I would skip this book and read John Green's Looking for Alaska instead. Simon vs. the Homo Sapiens Agenda is the story about a homosexual sixteen year old boy. Simon Spier, has been emailing with a mysterious boy from school who is the only person that knows of his sexuality. But when he forgets to log out of his email on the school computer, his secret spirals out of hand. I absolutely loved this book. I was laughing out loud continuously and taking pictures of lines from the book and sending them to friends. The only thing I didn't like about this book was how annoying some of Simon's friends got at times. I would recommend this book to anyone who is looking for a laugh or anyone who wants an insider look on the struggles of coming out. I would like to state a trigger-warning for swearing, sexually explicit content, and alcohol. If you liked this book, I suggest that you read The Upside of Unrequited where the main character, Simon Spier, even makes a cameo. There are lots of comics for Kingdom Hearts. The main character is named Sora. His friends, Kairi and Riku were both kidnapped by a mysterious dark magic guy. There are no curse words, or inappropriate content in these books. This is Sora's coming-to-age story of friendship, OMG-moments and Disney characters! YES! Totally! Anyone can read it! It's all ages, and anyone who loves Disney characters would enjoy this book with Mickey as king, and Minnie as queen. It isn't babyish, fellow teens, it's manga! Pride and Prejudice, which takes place in early 1800s England, follows the relationship between Elizabeth Bennett and Mr. Darcy. Upon first meeting, Elizabeth thinks the wealthy Mr. Darcy as arrogant, conceited, and rude. The story describes the many twists and turns in their relationship that ultimately leads to a gratifying conclusion. This book was very enjoyable because of the many unanticipated dips and turns in the plot. I especially liked the witty dialogue between the characters and the resolution of the story. I would recommend this book to others because it was very well-written and also possesses a very valuable lesson. If you like the classics, then you will love Pride and Prejudice. This book takes place in early 1800's England in a small village named Highbury and follows the story of Emma, a cunning and well-mannered girl. Emma is very clever, and uses this skill to her advantage in order to pair couples together. Ultimately, Emma's mischievous hijinks result in many awkward situations between her and her friend Harriet, whom she tries to match with men of noble birth. Emma is a fantastic book. However, the beginning is a bit slow and it took me a while to get into it. Near the middle of the story, I couldn't put the book down because it was so interesting. I really enjoyed this book because it takes dozens of unexpected turns and is quite comical at times. I would definitely recommend this book to others. Although the story starts off slow, I encourage you to keep reading it because it grows increasingly more interesting and fun. 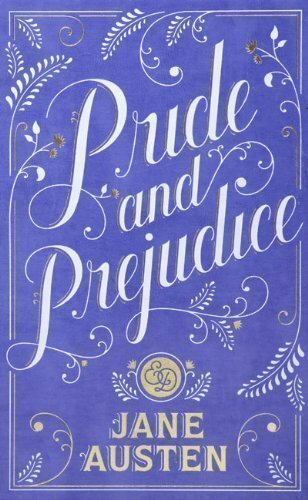 For those that like classic literature and other Jane Austen novels, this book is perfect! Code Name Verity is about two British best friends that crash in Nazi-occupied France in World War II. One of the girls is imprisoned by the Gestapo, where she is tortured into releasing British secrets and information-only it is not what one would expect. The story follows both of the girls' backgrounds and struggles for survival during the tumultuous and dangerous war. I like this book because it gives insight to what the Prisoners of War of the time endured and the inner-workings of the war effort. It touches on many different topics, such as the behind-the-scenes of the British Royal Air Force and the adversity that women faced in the work force. The plot line is also very emotional and takes many unexpected, yet thrilling turns. I would recommend this book to others because it will always keep you on your toes. People that enjoy history or action would love Code Name Verity. Althea and Oliver is a story about two best friends, one with a serious illness that causes him to sleep for weeks or months at a time, and the other that can't help falling in love with the other. Due to his illness, Oliver leaves for New York from their sleepy little town for a clinical study. Althea and Oliver go months without seeing each other, until Althea runs away from home and drives to New York to see him. I didn't like this book because the plot was unrealistic and weird. I also couldn't relate to any of the characters, which made it harder to enjoy the book. I wouldn't recommend this book to others because the story line is so impractical. I would only encourage you to read this book if you had absolutely nothing else to read. Sky of Red Poppies is about two girls named, Roya and Shireen, who both live opposite lives financially, politically, and religiously in 1960's Iran. However, even through their differences they become best friends. Roya is jealous of Shireen's independent lifestyle and begins to question of how she was raised and stands for controversial political stances which gets her in trouble at times even with the government at one point. With Iran being closed to opinions, it makes it difficult for both girls to achieve their goals as people morally. I liked how the novel incorporated poetry which the girls would recite and memorize for themselves. As well how they explored political views in a nation at the moment who usually oppresses or objectifies different opinions that opposes their government. If you like learning of different cultures and political views of a different nation then Sky of Red Poppies by Zohreh Ghahremani is the right novel for you. As well as if you like the everlasting bonds of friendships and getting through obstacles. 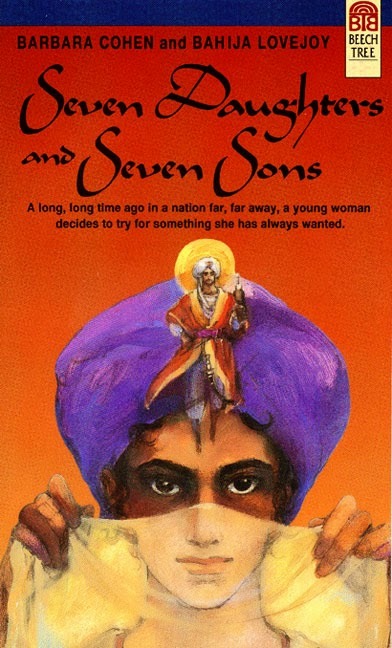 This incredible book takes place in an ancient Arab nation. The main character, Buran, longs to leave the house, and not wait for her father to chose a husband for her. Buran then decides to try for something she has always wanted. I completely adored this book. This covers the femininity of a woman, the author really dives deep into being a woman and what that means. The story itself is a mix between romance and friendship. Anyone who likes the Disney movie, Mulan, would love this book. Think of an Arab version of Mulan. Except the character herself wants a full life. And so she disguises as a boy, and travels to a city far away from her house where she meets the dishy Mahmud. She tries to keep their friendship from going too far. Because if she reveals to the prince, Mahmud that she is a woman, then she will lose everything she has worked for. This book is about five girls: Claudia, Stacey, Marry Anne, Kristy, and Dawn. In the first book, Kristy decides to create a club in which they all could babysit. She invites Claudia, and Marry Anne to join. Claudia eventually invites Stacey into the club. This wonderful book reflects the ups-and-downs in relationships with friends and family. I think this book is a very great book. It is great because there is no bad language, the pictures(this book series I'm talking about is a comic) are appropriate, and the characters are interesting. I would hands-down recommend this series to others! The books tell the basics of friendships, morals, and this book series may give you a smile every so often. Anyone of any gender can read this magnificent book, but I think the story will most likely appeal to girls. Have fun reading it!